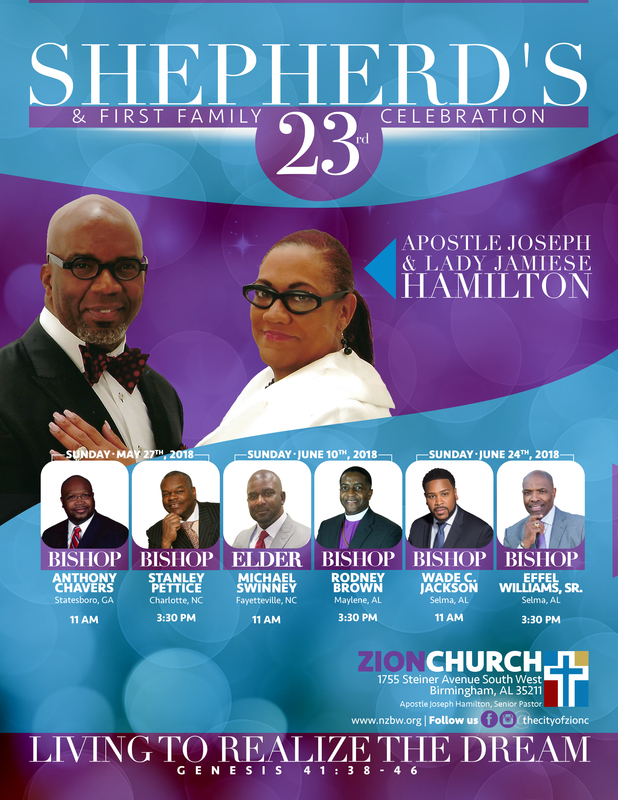 Join the Zion Church as they honor Apostle Joseph and Lady Jamiese Hamilton and First Family in the 23rd Shepherd’s Celebration! 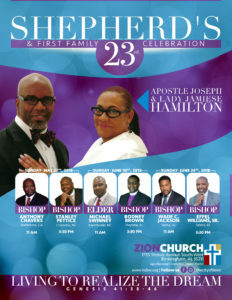 Each service will be an amazing time in the Lord. See the flyer above for more information about our awesome speakers, dates and the times. If you have any further questions, you may contact us via info@nzbw.org.